In the twenty-third novel of the William Monk series, Anne Perry delves into the diverse population of Victorian London, whose disparate communities force Monk to rethink his investigative techniques — lest he be caught in the crosshairs of violent bigotry. 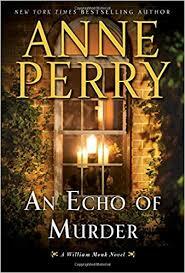 The great port of London is churning with activity in Anne Perry’s latest Victorian mystery, An Echo of Murder... The horridly mutilated victim is a Hungarian merchant, one of a growing populace of displaced persons fleeing oppression in European cities like Budapest and Vienna, only to stir up antagonism in their new home ... Perry fashions a rich, if blood-splattered narrative from this chapter of history. ...imagine these same people being strategically slain just because they are different by a faceless and nameless killer or killers working through some sadistic agenda. It sounds like I could be describing race and immigration relations in almost any large country today. However, these are the elements at the center of Anne Perry's latest Victorian-era mystery, An Echo of Murder ... This being an Anne Perry novel, it is no surprise that this interesting storyline will soon merge with Monk's to further confound her readers ... Fans of the series will remember that Monk has his own challenges, having lost his entire memory prior to a coach accident just after the Crimean War ... An Echo of Murder speaks directly to current real-world issues and does so in the guise of another solid Victorian-era mystery. Perry has outdone herself with this extraordinary entry in the long-standing Monk series. An unexpected conclusion with courtroom drama makes for fascinating reading ... One can only hope there are more books to come in this exceptional series. 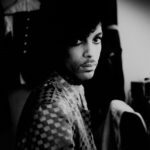 The finely written characters are worth each word ... Commander Monk of the Thames River Police is faced with one of the most gruesome murders of his illustrious career. What did you think of An Echo of Murder?